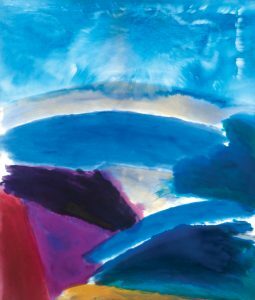 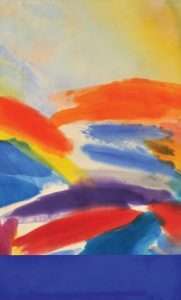 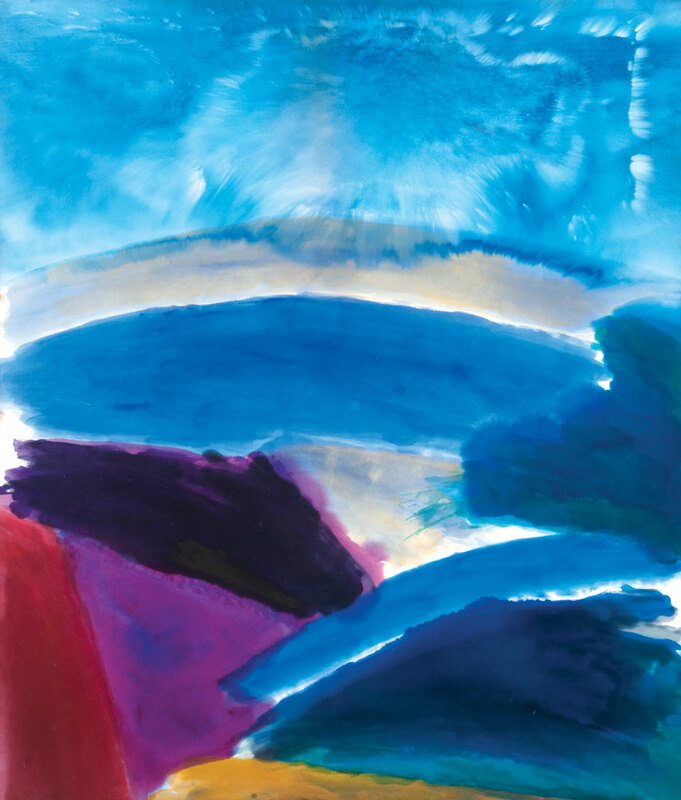 The lyrical abstractions of Ronnie Landfield have become icons of the modernist Colorfield movement. As a young boy, growing up in New York City, Landfield would visit the avant garde galleries of the time, taking in the abstract expressionists’ work such as Jackson Pollock, Ad Reinhardt and Willem de Kooning. 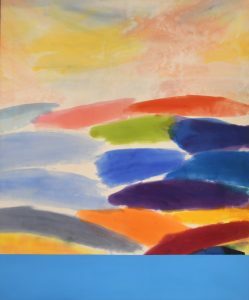 In a reaction to the all-over, process oriented abstraction of the midcentury, Landfield painted his abstractions from nature, incorporating an horizon as he used random effects of pouring and staining. 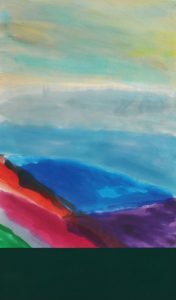 Lanfield studied at the Kansas City Art Institute, the San Francisco Art Institute and The Art Students League in New York. 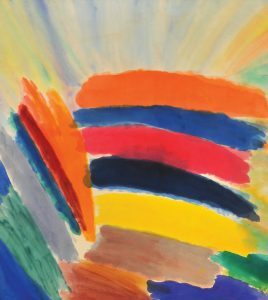 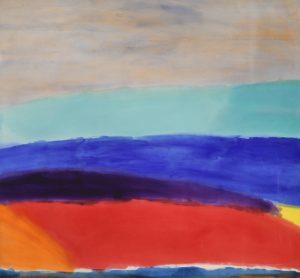 In 1967, at the age of 20, The Whitney Museum of American Art invited Landfield to exhibit. He was also included in the Whitney’s biennials of 1969 and 1973. 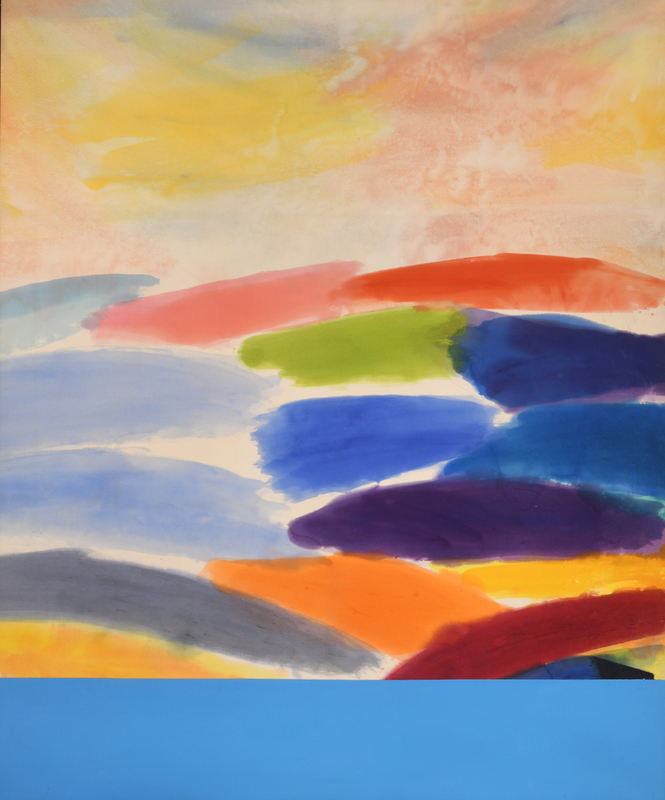 In 1969 he began showing with David Whitney Gallery in Soho. 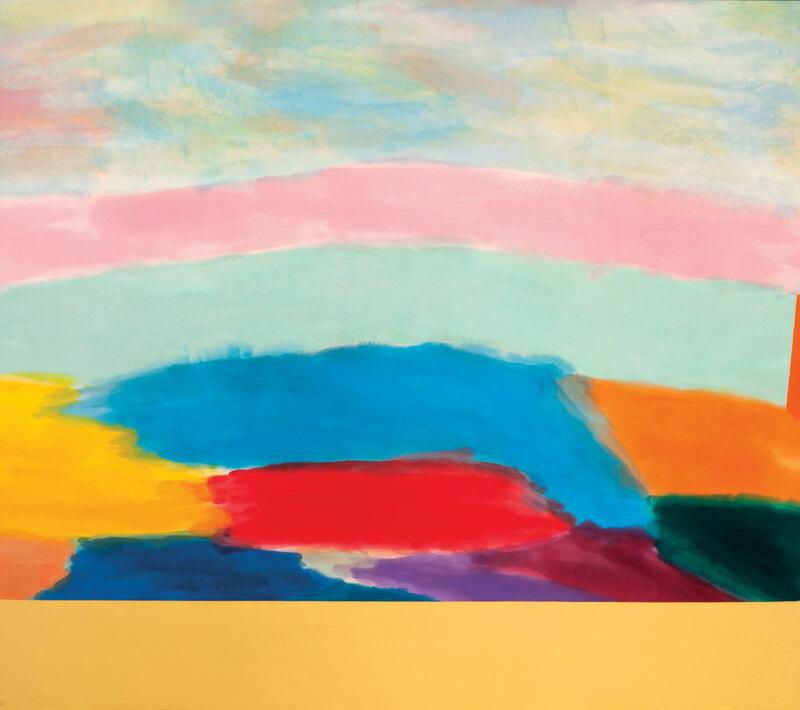 Also that year, architect Philip Johnson donated his important canvas “Diamond Lake” to the Museum of Modern Art.